WheelSTO has given the M3 a real racing profile. WheelSTO has released their take on the BMW M3. Working with BMWBlog, The M3 was built with one thing in mind: performance on the race track. The team from Illinois picked up the M3 from Michigan and took it back to their shop. The car came in basic stock, so for style and downforce WheelSTO painted the whole car Alpine White and they added the Challenge "V" weave front lip, mirror caps and an interesting Voltex Type 1S wing. "Very often, customers will call in and ask for a whole array of parts to be bought for their cars. All the individual parts look great and will probably look great on the car as well, if isolated to that one portion of the car." said the guys at WheelSTO. The last additions to the M3 came in the form of a remote-controlled valve on a Kreis-Sieg exhaust with their x-pipe. The valve opens and closes on command giving the driver total control over the sound of their ride. 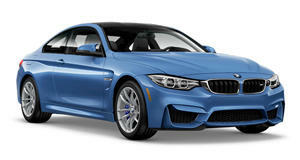 According to WheelSTO, the &apos;freeway and the track is where this car belongs.&apos; It&apos;s safe to say BMWBlog will agree.